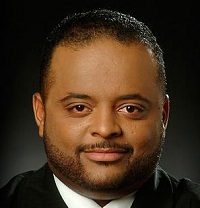 Roland Martin talks about black people’s concern about police procedures and the critics that dismiss the nationwide protests as temporary on the TJMS. “The Mike Brown/Ferguson issue is not just about Mike Brown, it’s a culmination of things. It’s John White…it’s Eric Garner. Black folks have gotten tired of story after story after of black folks being gunned down by police,” he says. This needs to play ALL DAY LONG ON A LOOP!!! THANK YOU SIR!!! BEST SENSIBLE COMMENTARY EVER!!! I do agree with the body camera.They should never be turned off while on duty. One more thing they should be equipped with voice recorder all so. Roland AMEN for this morning!!!! You said what exactly needed to be said, Thank you. I was in my car saying amen, amen!!!! like Julie answered I am in shock that any one can make $7564 in four weeks on the internet . Thank you for an excellent commentary this morning. There is tremendous work to be done in certain black communities where black on black violence continues to plague us. We are still fighting the battles of education, drugs, being underemployed and other issues where at least some of the blame is on our own lack of determination. There is a huge difference in crimes committed by citizens vs. those committed by those who are sworn to protect and serve. This difference seems to be lost on so many who for some reason are determined to lay every Ill in our society squarely on our feet regardless of the institutionalized racism that still affects our society. For some, they are unable to separate those 2 facts. They find it necessary to attack, belittle and criticize any one who doesn’t see things their way. Slave Mentality, small minded, brainwashed are just a few of the terms they use. Those who protest are instantly called racebaiters, and are all lumped into the same category of not taking care of themselves or taking responsibility. It’s as if every instance of bigotry and/or racial brutality is somehow the fault of black men and women and on one else, not the police, not nepotism, not right wing mentality, none of these killings is any one else’s fault but our own. We are in a strange Bizarro world to many Negroes who simply insist people of color need to shut up, don’t say or do anything and somehow if we all were just good citizens, this would all go away. They accuse anyone who protests against the system as being brainwashed. When, in fact, being unwilling to or not being able to discern the difference between pulling one’s self up, and purposely being pushed down is the very definition of Brainwashed. When people take the talking points of Fox news, listen to Sean Hannity and Bill O’Reilly and take up the mantle of these kind of people. Knowing what they stand for, I wonder who is weak, who is small minded? Who is being brainwashed? There are many, many black men and women who work hard every day, own homes and degrees, have never been in trouble, very successful people of color who are protesting passionately to what they clearly see and understand about a lack of concern when it comes to black men when they get accosted by certain policemen. Yet, when they do protest, the usual “ stop complaining” take care of yourself” mantra is thrown at all of us. I understand why white folks do this to us. But when we do this to each other, it is clearly disrespect and somehow feeling the need to gain one-upmanship and have the last word. Isnt that something, either there way or no way, Now That’s Slave Mentality!! “There but for the grace of GOD go I” Those who are self righteous however walk around thinking “ I thank God I am not like other men. Jesus describes this Pharisee in Luke 18:13 who brags about his accomplishments at the alter. Yes, there are some of us doing that even as we speak. Hand up, Don’t shoot isn’t about one city or one man or child. It is a national symbol of a situation that has gotten out of hand and needs to be addressed. They shouted this on the senate floor last week. The St. Louis Rams did it before their last game. Are the Rams then as no account as you would like everyone else to be that doesn’t think like you? People all over this country are aware of this, even if certain folks do not want to acknowledge. I don’t expect, nor do I want anyone to agree with me. What I would like though is for people to be able to express their outrage at the system without being accused of something less than the people who think the system is just fine. Because it isn’t. and it you really believe things are just fine, and every time something bad happens to people of color than you truly have never left the plantation. People all over this country, see what is happening, black, white, rich, poor, educated, law abiding citizens from all walks of life, Yes, they know we have a lot of work to do in some black communities, but they understand that particular fight and the very different one we are having with this.so don’t get it twisted. With all that still needs to be done, All the more reason why we shouldn’t take all of the additional abuse being thrown at us from outside interest. You were on and poppin this morning!!!! Told it to them straight. So wish you could go on their channel and tell them that. You took all the words out of my mouth this morning. Love you for that. You tell’em Roland!!!!!!!!!!!!! I’m most of time late to wor:); but this commentary I had to listen to!! Itwas so profound! Straight to the point! You spoke for all Blacks in the world!! Well, except for Charles Barkley…Hee-hee. Well said! OMG, Mr. Roland Martin, you broke it down this morning I was in my car saying Preach it all the way to work. I would like for this to be post on Facebook so all people can hear or read it. OMG it was the truth and you lit some butts up along the way. Thank you Mr. Martin.